Gregory Maguire, the acclaimed author of Wicked, returns with the final chapter in his series of books set in a dark, politicized Land of Oz. 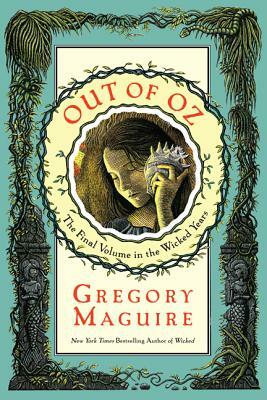 Following where Son of a Witch and A Lion Among Men left off, Out of Oz is a magical journey rife with revelations and reversals, reprisals and surprises—the hallmarks of the brilliant and unique imagination of Maguire. Book Passage welcomes Gregory Maguire on Friday, November 11th at 7:00pm. More info here. Book Passage staff member Zack Ruskin spoke with Maguire about his newest book. Their conversation follows. Zack Ruskin:When did you decide to take your fourth trip to the Land of Oz? Was there unfinished business from your first three novels set there? Gregory Maguire: When I reached the end of volume two, Son of a Witch, I thought the two first volumes sat together on the shelf very handsomely. Like, say, Tom Sawyer and Huckleberry Finn, or the original publications about those March girls, Little Women and Good Wives (which eventually were published together as the Little Women we know so well today). But it is true that, in order to lend the fantasy novels in Oz a great sense of verisimilitude—of grittiness, of sordor as well as glamour—I had left a lot of plot strands dangling. Face it, that is how most of our lives are lived, with less than adequate knowledge about how our friends and enemies, our children and our parents, actually lived before we came along or will live after we die. This meant that the starting material, the yeast as it were of the final two books, were entirely in place when it came time to draft A Lion Among Men and Out of Oz. Zack Ruskin :The final installment in the Wicked Years is titled Out of Oz. Is there intent on your end to expand the world of the series, or does the “out” refer more to the book’s place as a closing chapter? Gregory Maguire: I don’t want to give anything away, but I will say that Out of Oz is a title that has many different overtones. For one thing, it hearkens back to an archaic way of talking about the news from a dark and distant land: “What’s the news out of Africa? What’s the news out of Indochina?” “What’s the news out of the dugout, the PTA High Command,” etc. 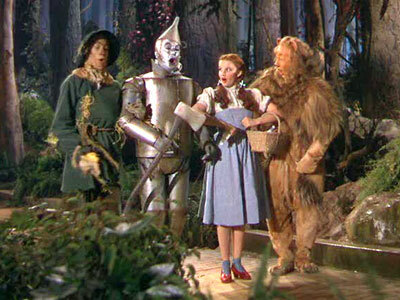 It also, of course, implies the world beyond Oz, and that world involves a girl we have met before, named Dorothy. Since Dorothy would make a return visit to Oz, she would have to come there from “out of Oz,” and that is how the novel opens. Finally, or nearly finally, I was happy in coming up on that phrase because all the original Oz novels ended in “of Oz.” Think about it. The Wizard of Oz. The Marvelous Land of Oz. Dorthy and the Wizard of Oz. The Emerald City of Oz. So I liked that affinity, too, of phrases. Zack Ruskin :From a technical standpoint, with a 519 page book like Out of Oz, when do you know you’ve finished? Does the page count simply reflect how long it took you to tell the final story, or did you want the last book to have a more substantial impact? Zack Ruskin :What’s the bigger challenge: reducing your story to the few words of a children’s book or filling the pages of an adult novel? Zack Ruskin: What does Oz exemplify to you? What facets of the setting afforded you the chance to set four novels there? Gregory Maguire: I had always loved the countries of Narnia, Neverland, even Wonderland. I came a bit later to Prydain and to Earthsea and Middle-earth, and liked them too though they were less clear in my mind. What five of the six of those countries mentioned above, however, have in common is their essential Britishness. They were discovered and invented either by Englishmen or by an American in homage to those same books. The one exception is Ursula Le Guin’s Earthsea books, which is more like The Odyssey than anything else. Zack Ruskin :When you’re working in a setting outside of reality, what kind of parameters do you set to ensure readers never feel (unintentionally) lost or confused? Zack Ruskin: Some of your novels take a familiar folk tale or piece of popular fiction as their inspiration, but with the Wicked Years, the territory is more uncharted. As you approached your fourth book in the series, did you still feel some kind of distant allegiance to L. Frank Baum and his vision? Gregory Maguire: It is interesting to note that Baum wrote 14 novels about Oz, and then after his death “sanctioned” authors wrote several dozen more. As I grew up, only Baum’s first two novels were available in my public library. I knew there were lots of other books out there, but I couldn’t find them. I think in some ways their absence provided me with some of the urgency to find out what Oz was like, and some of the license to my imagination to invent it. When, a seasoned adult writer, I finally did begin to find copies and read them, I was less than impressed. 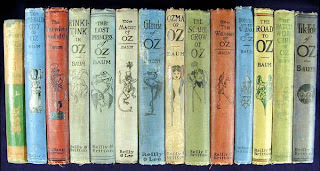 My own belief that Oz had a history the way Narnia and Middle-earth did was rudely snapped when I did find the later books. They unraveled in scarcely-recognizable chronological order, being more interchangeable, like episodes in “The Simpsons” viewable in any which order. So I felt Baum himself had, in a funny way, given me dispensation to be more concrete about history, about how our actions shape the actions of people who will come after us, by choosing not to do that himself. Finally, for those who know the Baum books well, there are many sly tips of the hat to the inventions of Baum in some of the minor characters in my novels. Zack Ruskin: There’s a definite resurgence of folk tales being used as source material. What qualities of the “fairy tale” lend itself so naturally to being reinterpreted over and over again? Gregory Maguire: The traditional fairy tale is like a trunk that has been handed down through the generations. The lock is smashed, the interior compartment is missing, the name painted on the top is illegible, the braces have been replaced three times and don’t match anything else. This is to say that the very oldest tales very often betray, through missing bits and unmatched symbols, both evidence of their age and also an invitation to the inventive mind. I’ll give you an example. Why, in Cinderella, is her coach made from a pumpkin? Why not a rutabaga, a bird’s nest, a scuttle of coal, a lemon meringue pie? There is probably an answer—some storyteller in a North European farmstead had a big pumpkin on the hearth that night, and the image held. But why, then, glass slippers? Glass slippers have nothing to do with farming life. And they have nothing to do with the story, I mean, that they are glass—except perhaps that they are unique, one of a kind (so when the Prince brings out one slipper and Cinderella its match, she proves in her grime and lowliness to be the splendid woman he fell in love with.) But why not slippers made of hummingbird’s wings? Of pumpkin rinds? The facts of those inconsistencies between images, of the unexplained reasons for why things are as they are, provide the handholds and the openings for a writer wanting to work with the material. Then again, fairy tales come with their built-in audience. Much more appealing to the reader browsing in the library or bookstore to pick up a book telling secrets about Cinderella than to risk spending time and money on a story about Pizzarina, the crusty daughter of the wizard’s pizza chef. Zack Ruskin: Did the smash success of the Broadway adaptation of Wicked have any bearing on your choice to revisit the Wicked saga? Have you a found a new audience of readers from fans of the musical? Gregory Maguire: In a word, yes. Wicked had sold three quarters of a million copies before the play opened, and a few years later it had sold four times that amount. (The Wicked Years sequence has sold 7.5 million copies worldwide to date.) With the surge in readership came a surge in reader mail, and the barrage of questions from readers who wanted to know more became a force I had to deflect or drown under. Zack Ruskin: With the final book in the Wicked Series now behind you, what’s coming next? More novels in the vein of stand-alone titles like Mirror,Mirror and Lost? Zack Ruskin: Your stories tend to be rich in story, dark in subject and wholly original. Are there certain elements or traits to your storytelling that you make a conscious effort to include, or are the themes of your work more organic in nature? Gregory Maguire: I love fantasy novels. My favorite is T. H. White’s The Once and Future King, the retelling of the King Arthur cycle that inspired the musical “Camelot.” What I loved best about that erudite work is that it was poetic, comic, romantic, adventurous, magical, without ever losing sight of being morally serious. Indeed, without that final component, I would never find myself much interested in all the rest. So I try to make sure to pose a moral question to myself in the writing of a novel, even if readers never notice, or ever seem to be able to put their finger on what it is that is motivating them to turn the pages. I believe the understanding that our choices have consequences, even in worlds in which magic has some sway, is the signal most important element to include in any novel. Zack Ruskin: My new go-to question is to ask about the potential for a series to be rendered as graphic novels. Do you see your Wicked Years books as potential candidates for that medium? Gregory Maguire: Interesting you should ask that—I have just begun to read graphic novels myself. Just this past weekend I finally read Chris Ware’s magnificent Jimmy Corrigan, and before that I read David Small’s Stitches, Craig Thompson’s Blankets, and I’m deep inside the wonderful Wonderstruck by Brian Selznick, which is part prose drama and part silent film on quickly turned pages. So I will be tussling with your question quite a bit in the months to come. Zack Ruskin: You’ve stated before that the idea for Wicked came from your desire to explore the idea of whether people are truly ever inherently evil. Would say you’ve satisfied your curiosity on the subject? Gregory Maguire: Do you mean have I come to a conclusion if people are ever truly inherently evil? No. But I have concluded, anecdotally, that I believe the roots of human demonstrations of evil—when they are individual and specific, not cultural or institutional—lie deeply in something I would call self-hatred. I believe that the biological imperative not to kill or main one’s self runs so deeply (even if ultimately breachable) that self-disgust is then turned outward, into contempt, into violence, into the dismissal of others as less than human, and therefore less deserving of justice, mercy, and tolerance. Zack Ruskin: What, if any, elements of the classic 1939 film "The Wizardof Oz" influenced your Wicked Years series? Gregory Maguire: I knew the film before I knew the books—I think this story is the only one in my childhood (except maybe "Peter Pan") of which this can be said. Well, I didn’t see much TV or many films as a child. But the film is still under copyright so I had to tread carefully, evoking my Oz through inference rather than direct quote. (No one can sing “Over the Rainbow” in the Wicked Years, though I can and did suggest that Elphaba sing a song of longing that dissolved like a rainbow after a storm… ) I found Judy Garland’s slightly gluey, over-earnest depiction of Dorothy both attractive and a little off, and it was amusing to build on that for my depiction of Dorothy in Out of Oz rather than in the far more sober and somewhat humorless stout little Dorothy in the original novel. Still from the 1939 classic "The Wizard of Oz"
Zack Ruskin: When a reader finishes Out of Oz, what are you hoping they’ve taken away from your series as a whole? Gregory Maguire: I think I could make a statement about the series on a whole, about its themes taken all together, like this: Most of us are not stuffed with extraordinary looks, gifts, powers; yet the world we have to live in requires extraordinary intervention. If we are not magically powerful, then we must find other ways to use our lesser powers to the good of the world, for if we do not, we are condemned to founder in darkness. Heroes and heroines (like Harry Potter, like Elphaba Thropp) can give us courage, but us less magnificent mortals must work together to make magic happen.